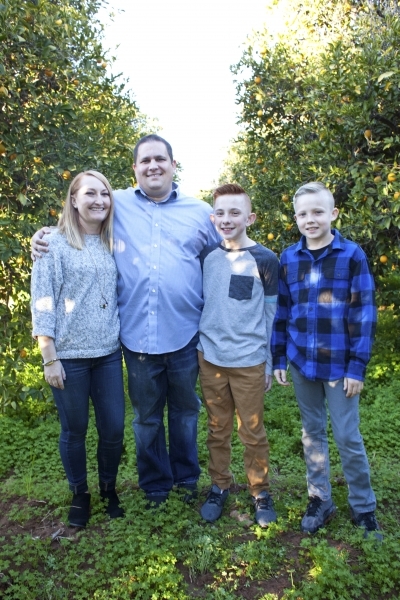 Adoption Profile - Hopeful adoptive parents, Jami and Ethan, wish to adopt a baby. We have waited patiently and trusted in God for many years knowing there is a special spirit waiting to join our family. Hi we are Ethan and Jami from Mesa Arizona. We have two sons Jayden who is 12 and almost in 7th grade and Parker who is 10 and almost in 5th grade. We met in June 2017 and were married in October 2017. 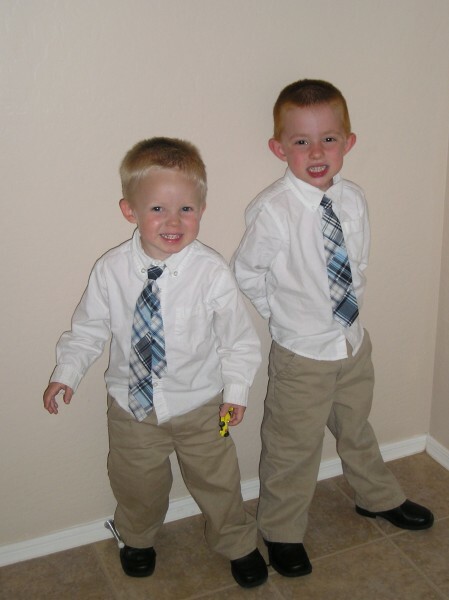 Jami brought these two adorable boys to the marriage and Ethan became an instant dad. Jami has waited for ten years since she adopted Parker knowing she wanted to add to her family again someday. We are so excited to grow our family together through adoption. 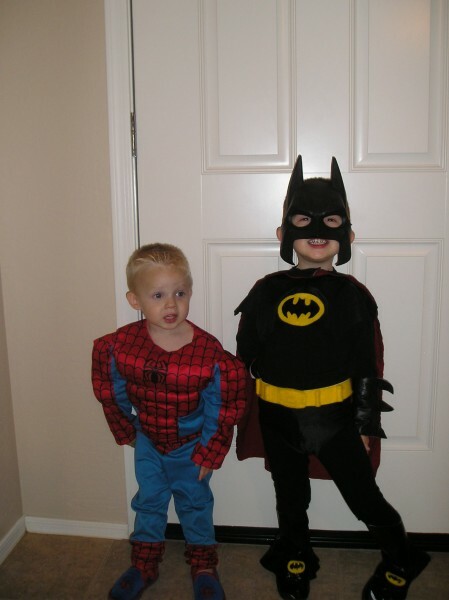 Jayden and Parker would be the best big brothers. Occupation(s): Ethan is a CPA, Jami is a stay at home Mom. Education: Ethan has a Bachelor's in Accounting and Masters in Taxation. Jami has a Bachelor's in Elementary Education. We love Mexican Food in our family and have Taco Tuesday each week. Backyard Taco is our very favorite. We have become a family that loves Cruises. We took our first cruise in November to Mexico. Ethan loves to watch college Sports. He is a big fan of Boise State and ASU. Ethan and Jami enjoy cooking together in the kitchen. We love spending time together as a family and look forward to family dinner each night. We love going to big Sunday dinner on Sundays to see Aunts, Uncles, cousins and have a fun evening. We enjoy watching AGT as a family and having movie nights. Ethan and I enjoy watching Big Bang Theory, Young Sheldon, Chuck and The Good Doctor together. Jami loves to watch This is Us, Amsterdam, and Parenthood. Jayden loves basketball, piano, Xbox, and he is a great student. He loves hanging out with friends. Parker loves all sports, he plays the violin, loves to draw and create projects and loves to play Xbox. Parker is a great student also. He loves hanging out with the boys in the neighborhood. Jami loves to go to her purebarre classes, decorate, do projects around the house, keep an organized house, and spend time with family and friends. Ethan and Jami love having their date night every Friday so they can spend quality time together as a couple. Before we adopted Parker we made a promise to his Birth Mom that we would have an open adoption. We promised we would send her pictures of Parker, updates of him. We also said we would text, email, call, and let her visit whenever she wanted to. I didn’t know much about open adoption at the time, it wasn’t as big as it is now. I didn’t realize the amazing blessing it would be for all of us. Open adoption is an amazing blessing that I have seen over the years. When I had to say good bye to Parker’s birth Mom, Karlene and her family after the papers were signed I remember how difficult it was. It was hard to leave her and I was really crying. I felt so close to her in just a small amount of time, but yet I had to say good bye and I wasn’t sure the next time I would see her. I was so excited to bring Parker home and get back to our life, but it was so hard to take a piece of Karlene with us knowing how hard this must be on her. When Parker was about four years old I told him he was adopted and I showed him his birth video and scrap book Karlene had made him and told him about her. Parker has always known that he was suppose to be a part of this family but that he had to come a different way.Parker always accepted that he was adopted and felt happy that he had many families that loved him. I would show him pictures often of his birth Mom and Dad and his Grandparents. After Karlene got married and had two more children of her own I would show Parker pictures of them and tell him that he had a brother and sister in Boise. When he was little he would draw pictures of his family and include his brother and sister in his family. He didn’t get to meet his brother and sister until he was 9 years old. For Parker’s birthday all he wanted was to go up to Boise and meet his family up there. He had talked to Karlene through texting and phone calls and Marco Polos and she had come down a few times, but he had never met his brother and sister. He was so excited to visit because we hadn’t been back to Boise since he was born. When we went up to Boise they had a big reunion and everyone came to see Parker. It had been nine years since a lot of them had seen him. It felt so amazing to be reunited with all his family and feel the love they had for him. I kept thinking how hard it must have been all these years for Karlene’s family not to have seen Parker. I love to text Karlene often and tell her about Parker and how he is doing or ask her questions about him. She has been a wonderful friend and has always respected that I was Parker’s Mom. She has always made him feel loved through letters she wrote and she likes to send packages for his birthday. She is good at sending him videos and singing to him on his birthday. I have so blessed that we have an open adoption with Parker’s birth Mom and family. It is so wonderful to feel the love from both sides of the family. Parker is so lucky that he was blessed with so many talents and gifts. He is an amazing athlete, loves babies and kids, he loves to cook, loves to play violin and make songs on the piano. He is an awesome artist and great at building things. He has a bright mind. Parker has so much potential in life and it is so fun to watch him grow. Ethan loves Boise State because he went to school there and loves to watch all the Boise games. When we went up to visit, Parker’s Grandparents bought Jayden and him Boise State shirts. Parker always jokes that he wants to go to college at Boise State someday.He is a true blue Boise fan. Parker asked the other day when he was going back to Idaho? I have always thought how God blessed me so much sending Parker to our family when he did. I still can’t believe how quickly we got our Parker. It was amazing to be on the adoption website for only four short months and then to find out that we were going to get a baby. I didn’t know at the time that it was a brother, but I am so glad that I got the two boys in a row. Jayden would have been so lonely all these years growing up without a brother by his side. I always thought to myself what would Jayden have done without Parker? I adopted Parker when Jayden was 2 years and 2 months old. The timing couldn’t have been more perfect. I thank God daily for the blessing of having these two brothers to grow up together. They have always been the best of friends. These boys have always had a built in play mate. They love a lot of the same things so they always enjoyed playing together. A lot of their life they have been the same height too and some people would ask if they were twins. They have always gotten a long so well. 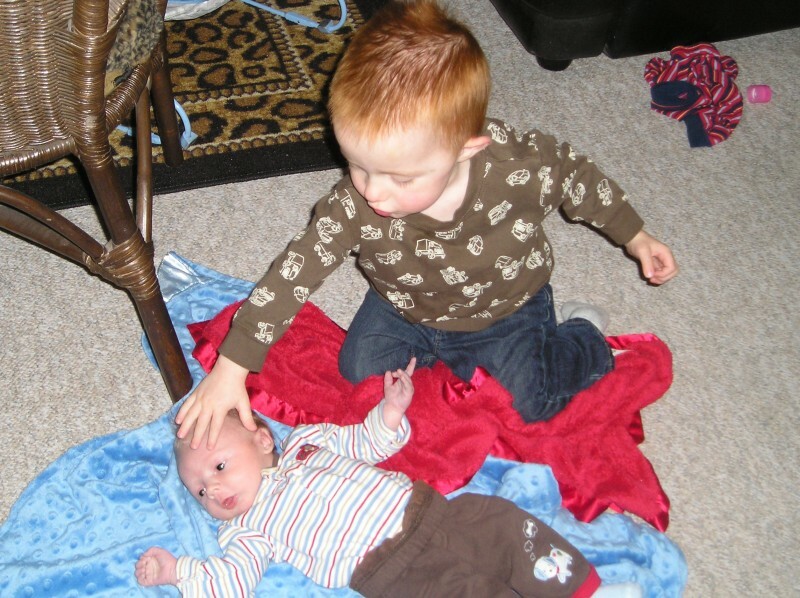 Parker is the teaser and aggravates Jayden often and most the time Jayden just laughs and lets his brother tease him. Of course these boys fight some and a lot of times wrestling turns into a fight at the end. It seems like Parker always takes it one step too far or doesn’t know when to stop, but they always get over it quickly and are back to being friends and laughing again. I have noticed this year since Jayden is getting older there is a gap in maturity and I know they will go through that phase of not wanting to hang out as much for awhile, but I do know that friends will come and go and these boys will always have each other. I hope they always remember that. I am going to be sad next year when they aren’t at the same school. I enjoy having them walk together to the bus every morning, and then walking home from the bus each day and hearing them laughing as they walk in the door from school. 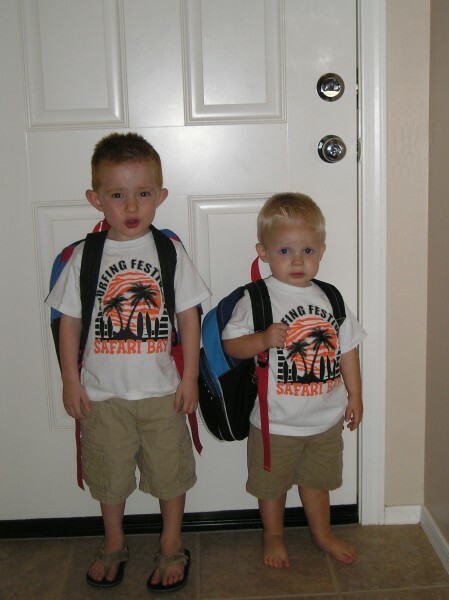 Jayden will be in Junior High next year and Parker will be in 5th grade. They won’t be at the same school again for two years. I can’t even imagine someday when Jayden leaves on his mission and they might not see each other for several years. I love these boys so much. 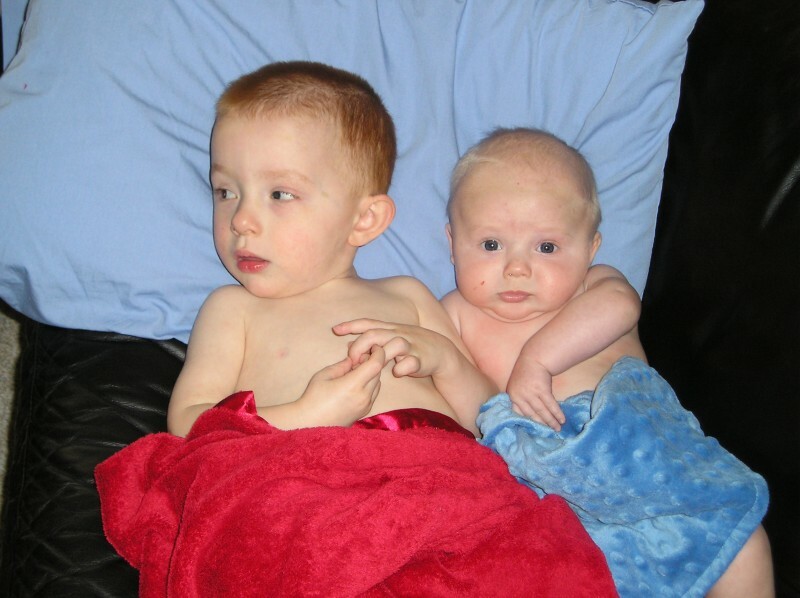 They have made me a Mom and I have loved raising these two adorable brothers. I look forward to raising these two boys and seeing them turn into amazing missionaries and Fathers someday.